Las Vegas-based Bally Technologies has always been a front runner in land-based slot machines and now they are transferring their slots to the online genre there is a lot of excitement surrounding their releases. Wild Huskies is one of those releases and this 5 reel, 40 payline slot might not be breaking any new ground with its theme but it certainly has all the hallmarks that have made Bally slots so popular in land-based casinos. As I said, the theme is not groundbreaking. Fans of IGT’s wolf themed slots Wolf Run and the equally popular Wild Wolf will no doubt feel that this slot will be for them and the features in the game only add to its attraction. To trigger the main bonus feature, you must hit three or more Free Games symbols across the reels. You are initially awarded 5 free games with a 3x multiplier value but there is the potential to re-trigger the spins up to 50 free spins. Any slot that can offer the chance to win this many free spins is worth its weight in gold in my opinion. Bally know what they are doing it seems! There is also a Pick Bonus that is triggered when you manage to hit three Pick One Bonus symbols on reels 2, 3 and 4 during regular game play. In this bonus feature, you must select one of the symbols that appears on those three reels and it will reveal a winning amount of credits. 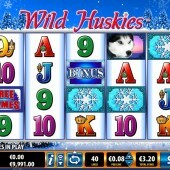 Wild Huskies also comes with the exciting Stacked Wild symbols that give you an even greater chance of winning prizes. The Wild symbols substitute for all other symbols to complete winning combinations and if they are stacked then there is a larger chance of you completing winning combinations. Wild Huskies is clearly a game that has been developed by a slot developer that knows its industry. 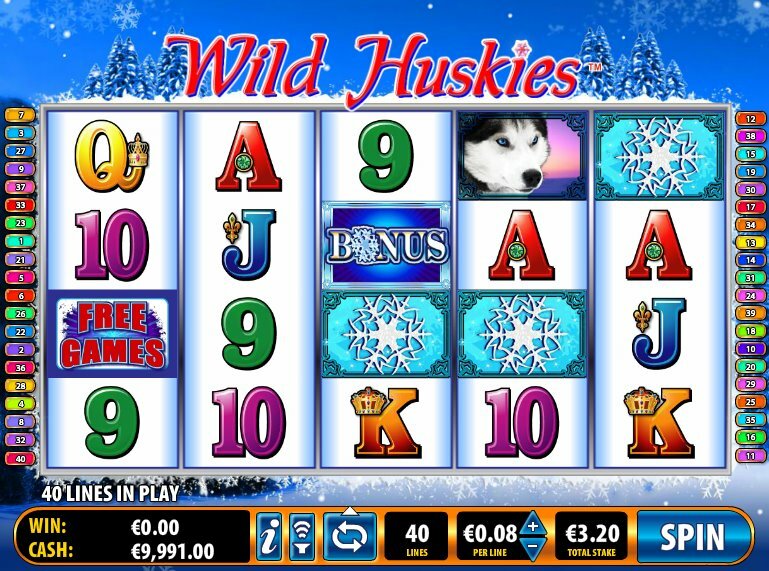 Bally Technologies, based on this release, will be hitting the online slots platform hard and judging by Wild Huskies that will only be something that benefits slots players with slots that provide the chance to win big and produce some exhilarating slot gaming.